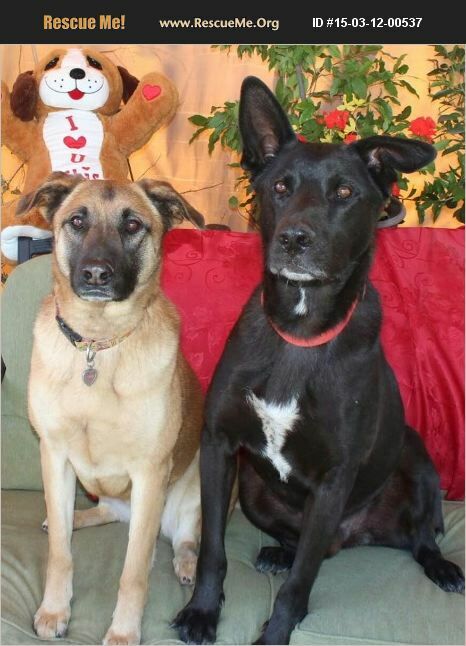 Boba and Jack Sparrow are 2 amazing, fun and loving dogs at our foundation. We have many more. Boba is a female who is good with kids and other dogs. She is loving and would be a perfect addition to any family. Jack Sparrow is a long haired shepherd. He is good with kids and other dogs. He would make a great jogging partner. He is neutered and waiting for his forever home. We get many inquiries, so its best to fill out an application if you are actively ready to adopt. You will then have your application reviewed and receive a call to make an appointment. Please go to www.LindaBlairWorldheart.org and fill out an application. Listed under adoptable dogs! We stand behind our dogs 100% Southern Ca adoption only due to home checks.